If you've got the money, honey.... someone's got the time. ANYTHING " SAGGY- DRAGGY" CAN BE FIXED....YES, ANYTHING. Sometimes change is difficult, especially when it's a distracting change and....not for the better. If you are still" growing up"-- and labeled a Senior Citizen---then you, too, are overwhelmed with all the changes in your "look and feel". How we look on the outside almost-always determines how we feel about ourselves. Believe me, I try to change things that bother me. I don't give up easily. I developed Silver Polishe to encourage SENIORS to look..to act.. and to be....as classy and elegant as-ever. I write about my own reactions and solutions as I experience lifestyle changes, body changes, attitude changes, and.. bank account changes! I can't remember exactly when I noticed my grandmother's earlobes were growing bigger; when I realized her earlobes were definitely larger and hanging lower. 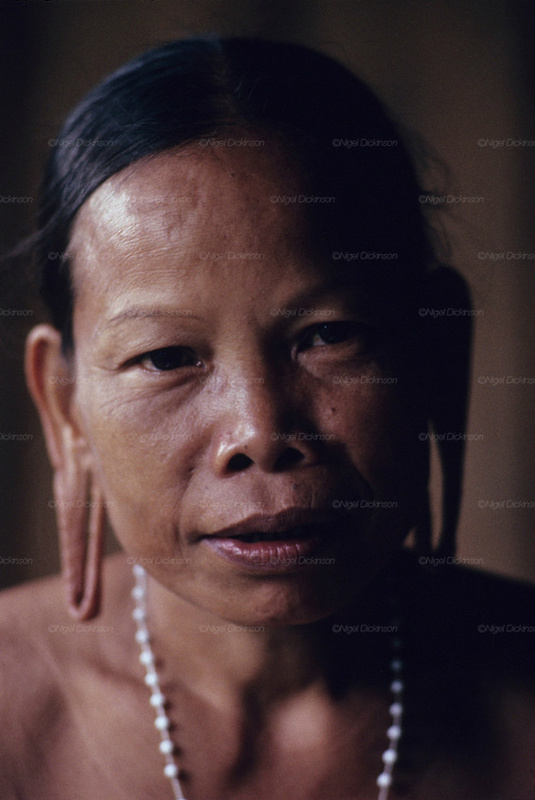 My grandmother never wore earrings so heavy earrings weren't the culprits that were pulling-weighing her lobes down. A woman who'd never know luxury, never lived on easy-street, my grandmother worked as a secretary at the railroad until she was seventy years old. My grandmother was in her early eighties when she died and her earlobes were the least of her worries. In most cases, earlobes are no "big deal". But, they are near the face and impossible to hide...just like some people's lack of tact. Imagine my shock when a co-worker at Jenkins Center in Pine Bluff, Arkansas, blurted-out that I should consider having an ear lobe reduction! Yes, I'd noticed my ear lobes were a little saggy-draggy, but with so much going on in my life, I didn't have time to concentrate on ear lobes. There was certainly the nagging thought that I might have inherited my grandmother's lobes which...wasn't a positive thought. Anyway, long-story-short....I eventually questioned my co-worker about her ear lobe reduction and.....after learning it was a quick office procedure performed by a qualified doctor and the cost was cheap... I did it. I recommend it to anyone---male or female---if you are self-conscious about your saggy-draggy ear lobes. Good news for men or women with short hair: the tiny scars are well-hidden behind each ear. Would I do it again? Absolutely. And-- by the way-- my ear lobes never looked anything like the woman in the photo. But, bless her heart, the woman looks elegant....wearing her lipstick and her pearls!!!!!!! When I feel good about the outside....I'm motivated on the inside.